Pyradia has developed the most advanced line of Drop Bottom Ovens for aluminum solution heat treating. These ovens incorporate state of the art insulation, control system and hoist mechanism which make them the most performing and reliable on the market. In the electric drop bottom oven models, the low-density tubular heating elements are evenly distributed in the air ducts all around the working zone. In the gas drop bottom furnace models, the heating system is designed with indirect fired burners complete with heat recuperation assuring an average energy efficiency greater than 70%. The high efficiency fans located in the top plenum procure a powerful vertical airflow, which passes evenly through the working area of the drop bottom oven. As a result, the temperature uniformity throughout the working area is within +/- 9oF (5oC) (or +/- 5oF/3oC when required), at any given temperature, even during ramp-up. With these exceptional performances, our Drop Quench Furnace will meet the tighter specifications of the future. They can also be used for aluminum aging at lower temperatures. 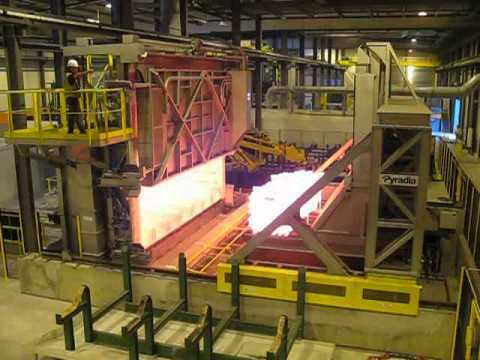 Pyradia’s Drop Bottom Furnaces are designed for an intensive and continuous use up to 1 200oF (650oC) . The loading and quenching systems arefully automated by PLC. The dual speed electro-mechanical winch system permits a controlled acceleration/deceleration of the load descent and has proven to be much more reliable and sturdy that the commonly used pneumatic systems. The insulation of our drop bottom ovens consists of 6″ of ceramic fiber modules. This high efficiency materiel assures minimum heat loss and heat storage for rapid heat cycling and energy economy. Contrary to layered blanket arrangement, ceramic blocks have a great resistance to high air velocity abrasion. This configuration is extra durable and requires very little if no maintenance. * The above models are our most popular sizes, other sizes available on request. 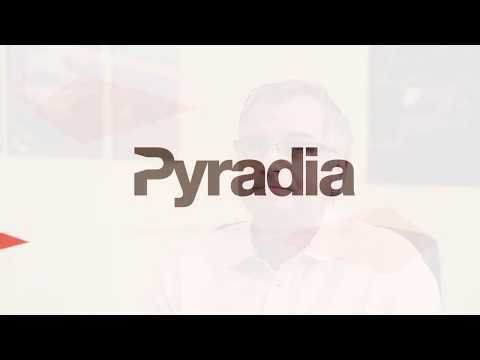 * PYRADIA is continuously improving their product lines. Specifications may change without notice.